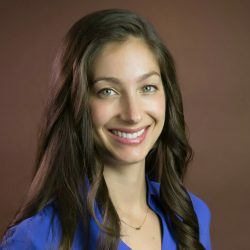 Alexandra Joraanstad has 8 years of experience conducting social services evaluation research, with a focus on programs serving parents and children from birth to age 5. Her work has primarily concentrated on implementation and outcome evaluations of evidence-based home visiting programs. At JBA, Joraanstad assists the National Home Visiting Resource Center project, working with state agencies and national home visiting models to collect, clean, and analyze data for the project’s flagship yearbook. Prior to joining JBA, Joraanstad worked on a state-level evaluation of evidence-based home visiting programs. She received an M.S. in public health from Johns Hopkins University.